The Syncfusion ASP.NET MVC DatePicker is a feature rich and easily configurable text-input control to enter or select a date value. Its rich feature set includes functionalities like validation, custom date formats, range restriction and disable dates. The ASP.NET MVC DatePicker is a feature rich and easily configurable text-input control to enter or select a date value. Its rich feature set includes functionalities like validation, custom date formats, range restriction and disable dates. DatePicker allows to select only the month or year as a value (Month Picker or Year Picker) from a pop-up calendar. 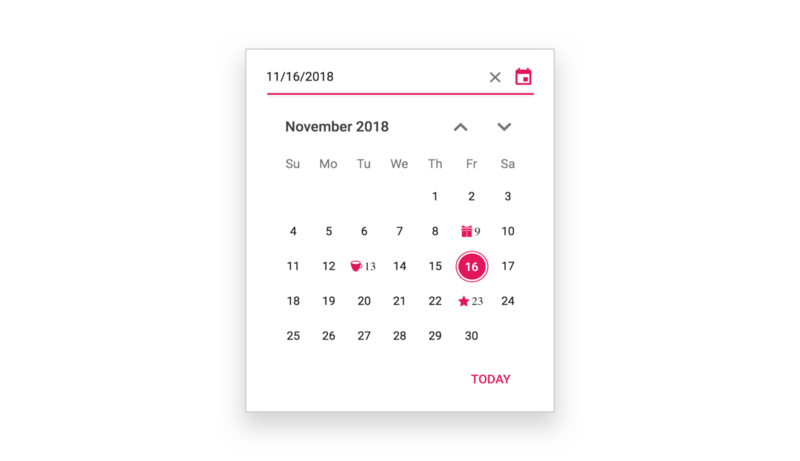 You can restrict the DatePicker so that only a date value within a specific range of dates can be entered or selected by specifying the min and max date options. The ASP.NET MVC DatePicker control provides a responsive mode that gives an adaptive, redesigned UI appearance for mobile devices.